Rakan Shams Aldeen is a Syrian fashion designer. At the age of five he developed an interest in fashion and began sketching every dress that his imagination could conceive. Rakan studied architecture at University of Kalamoon, Syria and afterwards he moved to Lebanon to follow his dreams and study fashion design and pattern making at l’Ecole Superieure des Arts et techniques de la Mode in Beirut (EsMode-Beirut). Rakan then moved to Istanbul and graduated from Vakko-EsMode Istanbul in 2015. He was awarded the jury prize for design during every year of his education. He and his business partner established their own couture line LamRak Atelier, where Rakan worked as the head designer from 2014 through 2016 and participated in the Mercedes-Benz Fashion Week Istanbul. In 2017, he moved to Chicago to establish his own brand RAKAN, a luxurious modern line dedicated to strong confident women who desire to be unique. A Chicago native and alumnus of The Chicago Academy for the Arts, Cara Farella is European-trained in fine art, fashion and textile design. Cara completed her foundation year at Central Saint Martins School of Art and Design in London and received her BA with honors in fashion and textile engineering from the UK’s prestigious Chelsea School of Art and Design. 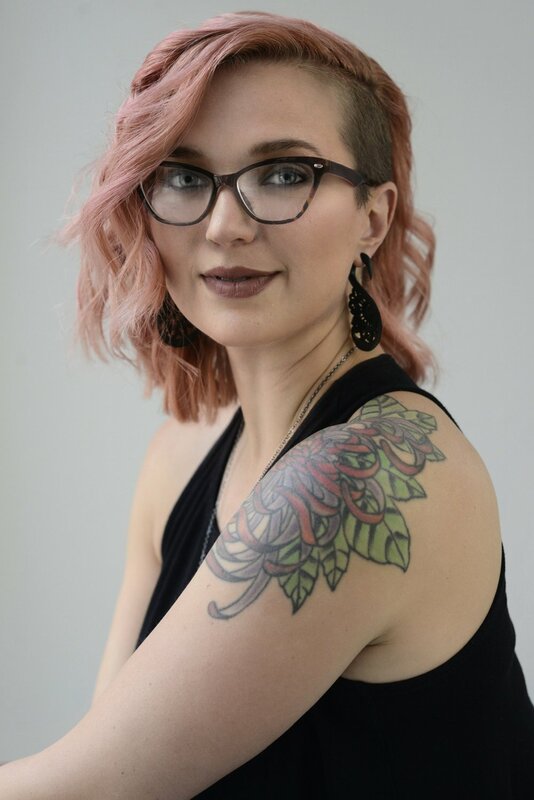 Dually-trained as a fine artist and fashion/textile designer, Cara incorporates a spectrum of natural elements, including crystal, pearl, stone and forged metals into her designs, creating extraordinary and powerful pieces. Cara has returned home to Chicago to launch her brand, Cara Maria Farella, Inc., a striking line of richly woven fabrics, stand-out bridal gowns and accessories that blend romantic designs with old world artistry. Kate VanAsten, designer for Wulfka, went to school at FIT in New York before moving back to the Midwest. Her deceptively simple, clean silhouettes stem from a strong love of geometry, and all fabric is chosen primarily by touch so that each piece feels great to wear. 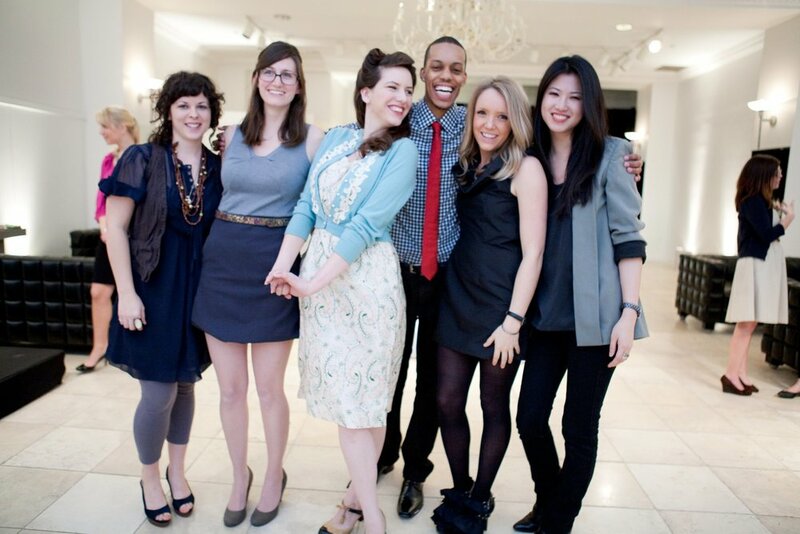 Wulfka was launched in 2013, inspired by the take-charge creatives and visionaries that are the lifeblood of Chicago. With a passion for quality, careful details, and all things made locally, all Wuflka garments are proudly made in Kate's Logan Square studio...and in the CFI Sample Room during her residency! Lauren Markt has been working and consulting in the fashion industry for many years with other fashion designers and is now placing a focus on developing her own designs through her new brand, Syl Markt. During her residency, Lauren will develop her first Womens Contemporary collection for Fall/Winter 2018 set to launch next February. Lauren is a graduate of Parsons and is a recent transplant to Chicago from LA. Adilah Muhammad earned a Bachelor’s of Science in Fashion Merchandising and Design at North Carolina A&T State University in Greensboro in May 2014. While in college, Adilah developed an interest in fashion entrepreneurship through participation in Teen Vogue Fashion University, a trip to Paris, and an internship for a CFI alum. Adilah designs one-of-a-kind looks for clients throughout the US. During her residency at the CFI, Adilah will develop and launch her business and first full collection, ADILAH M, a women’s contemporary line with an emphasis on modesty.